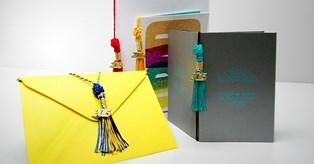 For Cap Tassels click here "GRADUATION CAP TASSELS"
Introducing our new Graduation Program Tassels. They will work great on a Program, Invitation, Menu or Greeting Card. Cord Loop with 3" Graduation Tassel and Adjustable Slide. 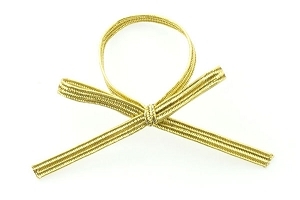 Available in a variety of different colors, as well as in 6", 8", 10", 12", 15", and 18" lengths. The Loop Color is always the darkest color. These tassels are custom made to order in our Florida Factory. MADE IN THE USA!! Please allow a few days for shipping. Please note that these tassels are NOT FOR THE GRADUATION CAP. If you want tassels for the cap, please click here "GRADUATION CAP TASSELS".